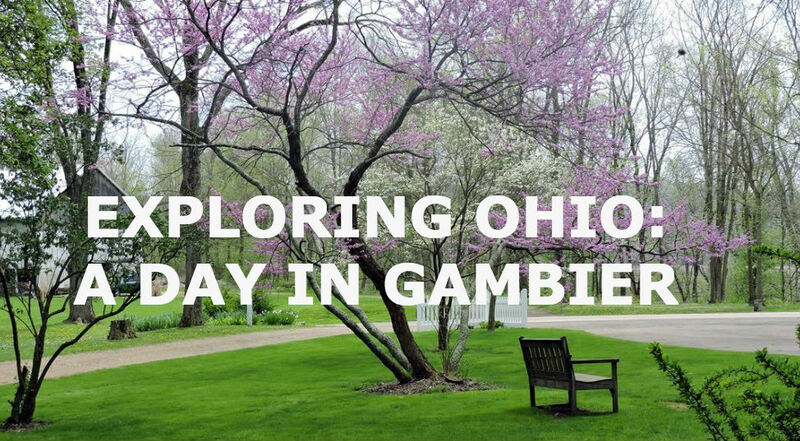 Less than 20 minutes northeast of White Oak Inn is the charming town of Gambier. 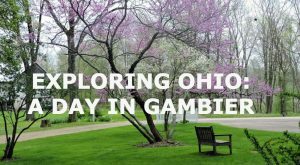 Home to Kenyon College, a fine liberal arts college, Gambier is a pretty little town by the Kokosing River, in the gently rolling hills of Ohio. It’s a great place to spend a day. Start your visit to Gambier up at the college, at Pierce Hall. This place dispels any old notions of college dining rooms! The hall looks like something out of a medieval castle, with stunning stained glass windows and trestle tables. (It was rumored that the Harry Potter movies were filmed here because it looked so much like Hogwarts!). For a small token you can eat here—the school is a proponent of the local-food movement and buys many of its produce from area farms. Nearby campus is the magnificent Quarry Chapel, a former Episcopalian Church that was built in 1862. In the 1930’s, the church was abandoned and left to ruin for years. Following extensive renovations, it is now used for public concerts. After poking around the Kenyon College area, head over to Gaskin Avenue. Here you’ll find Kenyon Bookstore, the longest continually-operating bookstore in America. It’s known for selling a little bit of everything—stuffed animals, sweatshirts, locally-made crafts—in addition to fiction, nonfiction, and text books. Nearby is the Weather Vane, a tiny independent store with quality clothing and accessories for women. If you want a coffee break, stop by Wiggin Street Coffeehouse, a community gathering spot housed in an historic building. Or check out The Gambier Deli, known for its New York-style deli sandwiches. School year hours: daily, 8:00 a.m. – 11:00 p.m.
Summer hours: daily, 9:00 a.m. – 9:00 p.m.
Monday – Saturday, 11:00 a.m. – 5:30 p.m.
Saturday – Sunday, 8:00 a.m. – 7:00 p.m.
Monday – Saturday, 8:00 a.m. – 3:00 p.m.
Gambier is just one of the many great places you’ll find here in the Danville area. Plan a stay at the Inn and you can explore this and lots more!